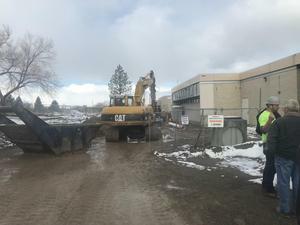 March 29th at approximately 9:20 a.m. a construction crew hit a gas line at the school. The gas was immediately turned off and Fire Crews, Law Enforcement, and Dominion Energy were called out to the area. Due to the strong odor, students have been moved to Tooele High School until the smell dissipates and it is cleared to return to the building.